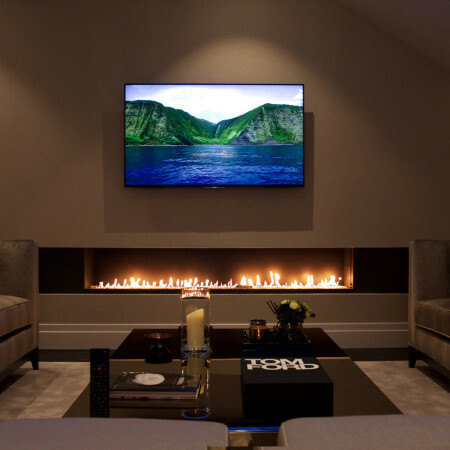 A beautiful modern gas fire with a 2.4m long flame burner. This installation was designed with the addition of bespoke steel side panelling from hot rolled steel which gives even more impact in this large living space. 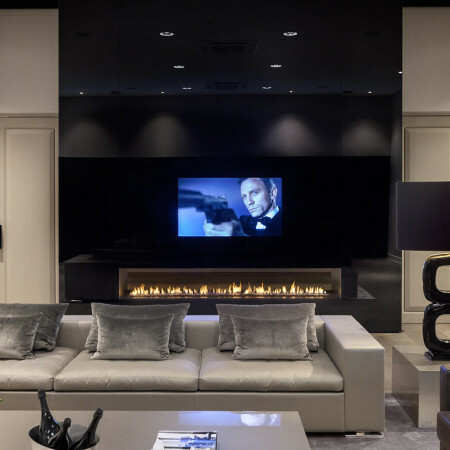 A fireplace of this size creates a stunning focal feature in a large space and the long, dancing flames creates a truly mesmerising and relaxing atmosphere. In its largest format, this fireplace has a 2.4m dancing flame (as shown) but is also available in smaller sizes.